The Sciton MicroLaserPeel® is a perfect option for patients who are always on the go, and have limited downtime to spare. The peel will leave you with fresh, youthful skin by removing fine lines and wrinkles. With immediate, long-lasting results, this laser is one of the most precise treatments available on the market today. The level of precision in the Sciton head will also provide you with the utmost comfort as you will be able to choose the level of abrasion depending on your needs and the results you desire. For example, the Sciton MicroLaserPeel® can provide treatment depths as minimal as 4 microns, which will provide results similar to a glycolic acid peel, up to 120 microns, which will result in a full resurfacing effect. The Sciton MicroLaserPeel® works to remove the outermost layers of the skin depending on your individual needs. It is effective in the removal of scars, wrinkles, keratoses (pre-cancerous lesions), pigmentation problems, and combat overall sun damage. Any area of your body can be treated with the Sciton MicroLaserPeel®. Common treatment areas include those that are exposed to the detrimental effects of sunlight. This includes the face, neck, back of the hands, chest, and shoulders. When you go in for the Sciton MicroLaserPeel®, the skin will go through a layer-by-layer evaporation process due to the high levels of water content in the epidermis. 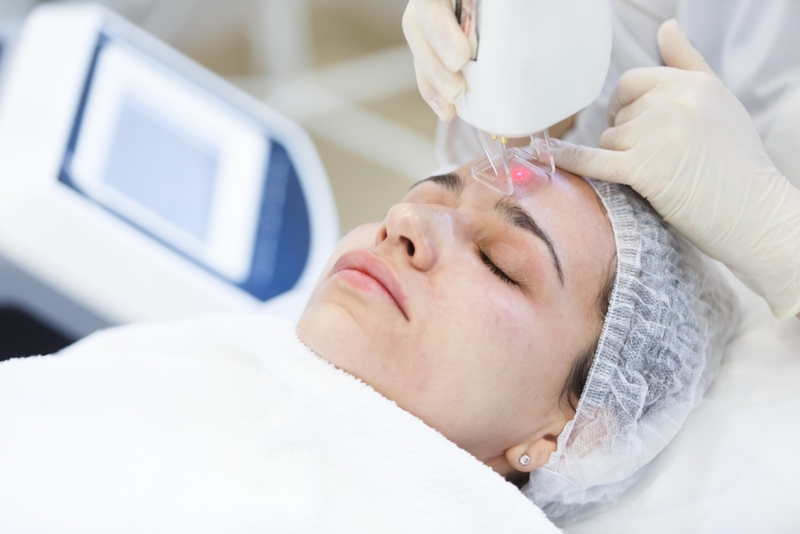 Therefore, this laser treatment is the most effective way to treat skin concerns such as fine lines and wrinkles, uneven skin tone (ie: light and dark patches), keratoses (pre-cancerous lesions), scarring, and hyperpigmentation. The vapourizing action of the laser will work to resurface and rejuvenate the skin in these conditions. A procedure is typically completed within 15 – 30 minutes. 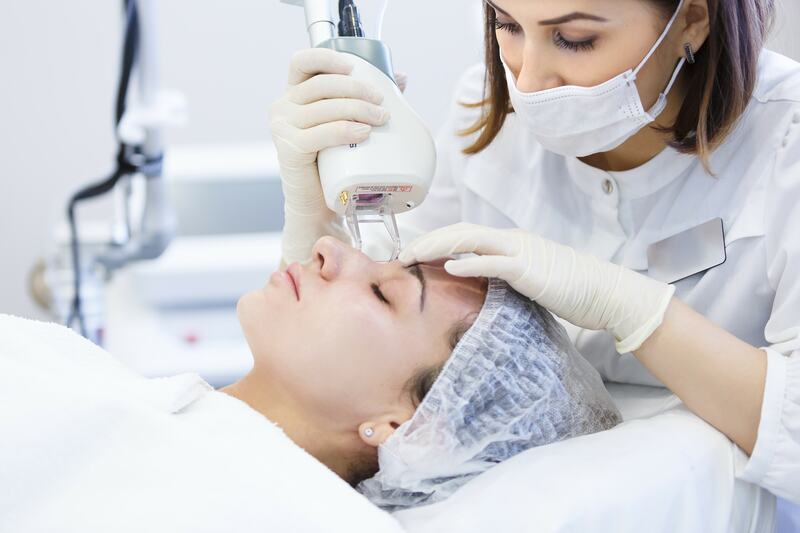 At your initial consultation, the team at The Centre for Dermatology will help determine the MicroLaserPeel® treatment plan for each patient, depending on your desired outcome and the time you have available to heal. To prepare for treatment, please discontinue the use of retinol and acid products 3 days prior to the procedure. If you have a history of developing fever blisters or cold sores, we recommend taking Valtrex. After your treatment, an ice pack can be applied to the area for a few minutes immediately afterwards. An ointment, such as Vaseline, will be applied post-treatment to place a barrier on your skin to keep the air away while your skin recovers. The Sciton MicroLaserPeel® is quick and virtually painless. The healing process post-treatment takes place over the course of two to seven days depending on the depth of the peel. You will see younger looking, new skin as a result. You will notice a significant and immediate change in the tightness and texture of the skin. Final results will depend on the condition you are treating, the number of treatments, and the treated area. Our team will provide you with everything you need to know about post-treatment care and results. Due to the precision of the laser, there is minimal risk of scarring or other complications, such as infection post-treatment. It is very typical and normal for a patient to return to their regular work or social activities shortly after receiving the treatment. For most patients, the healing process generally takes between two to seven days, although it varies from patient to patient and depends on the strength of the treatment received. The procedure can be performed towards the end of the week and you should be able to return to work the following Monday. On the first day after treatment, you will feel like you have a bad sunburn. Over the next 2 days, you will experience minor peeling and itchiness. This is normal and to be expected. By day 3, the redness will begin to fade. You can start using your regular facial moisturizer after 2 days and apply makeup after 3 days. We recommend using mineral makeup at the start, as it helps cover redness but is not a base for bacteria growth. After your treatment, your skin will be especially sensitive to UV light. You must avoid direct sun exposure until your skin is fully healed. Sun tanning and tanning beds should be avoided for 1 month post treatment. A broad spectrum sunscreen with zinc oxide and/or titanium dioxide as the main ingredients should be used on a daily basis. Within weeks, your skin will be noticeably smoother. 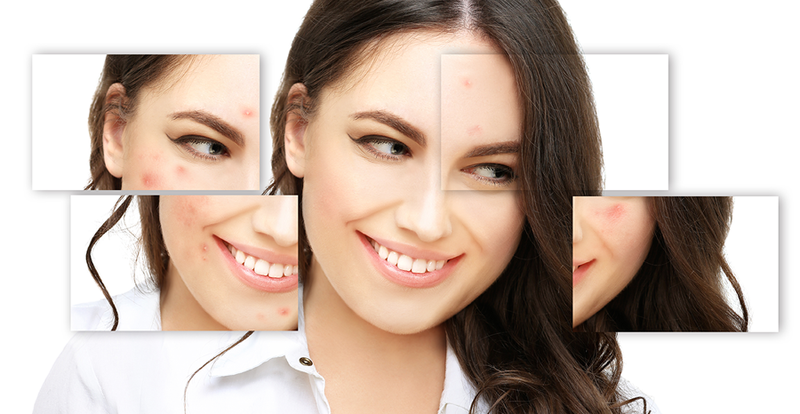 Fine lines, wrinkles, and pores will be less apparent, and sun spots or hyperpigmentation will fade. The only side effect of a MicroLaserPeel® treatment is that the treated area will feel like a sunburn. It is also normal to experience minor sloughing and itchiness the following day. Redness will begin to fade by day 3. The number of treatments needed to obtain desired results varies from person to person but usually 3 to 4 are needed to see excellent results. The procedure takes approximately one hour to complete. After your first procedure, the results should be evident for at least 6 to 12 months. Additional treatments can be performed as required and as determined by your doctor at your consultation.